Located directly west of the Dan Ryan Expressway at 710 West 14th Street a new luxury apartment development branded simply as "U", designed for young professionals and grad students, is now underway. Construction has begun on the 99-unit seven-story apartment building in Chicago's University Village neighborhood. Its architectural design, headed by Cordogan Clark & Associates, focuses on high-end amenities and creating a sense of community. 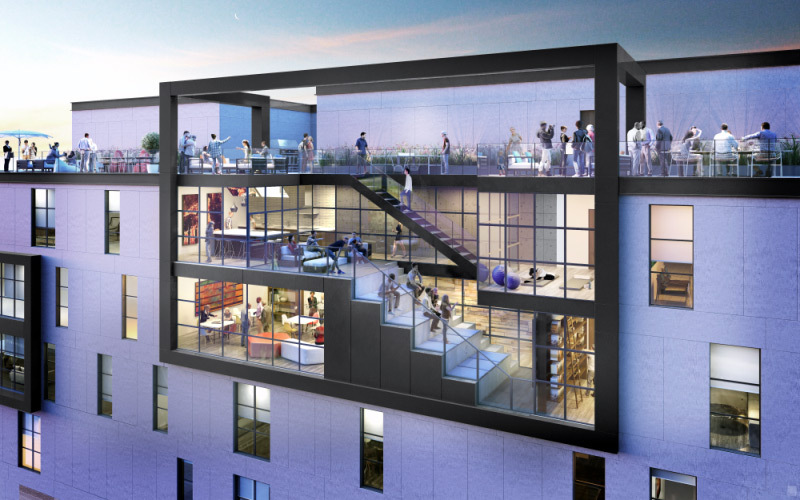 "U" includes such amenities as co-working space, modern fitness center, yoga room, communal kitchen, and expansive roof deck with grills and social spaces, dog run, and fire pit. The 79-foot-tall project will also feature rooftop photovoltaic panels and garage parking for 99 vehicles and 125 bicycles. Apartments feature 10 foot ceilings and generous natural light. There is an open two-level communal hub for relaxing, socializing, and studying. There are also adjacent private rooms and kitchen facilities. In addition to targeting young professionals, "U" is also aimed at graduate students who want to live near campus. While creating a community is paramount, there's also a renewed focus on well-being with indoor fitness centers and open, airy spaces such as outdoor decks. Student Residences on and near campuses are becoming increasingly modern and now focus on providing inviting, communal spaces. As Sara Freund wrote recently in RE Journal, "The days where university students live in glorified shoe boxes are gone. Today they can choose from student housing that boasts amenities usually associated with high-end luxury apartments." Luxury, lifestyle-oriented residences can be the tipping point for incoming and transfer students when deciding on a college or university. U is among the latest projects in Chicago's proximal University Village and Medical District neighborhoods to secure a construction permit. It will be joined by the $109 million Cook County Central Campus Health Center. 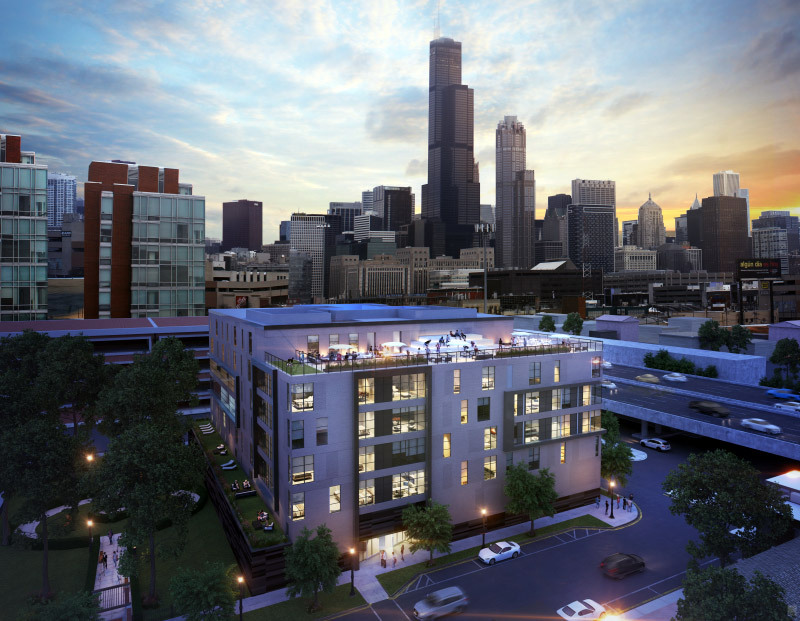 The developer of "U", New York-based Property Markets Group (PMG) also developed Logan Square's transit-oriented "L" Apartments, known for its rooftop deck that features a repurposed CTA elevated train car. PMG's high-end student-oriented project in Chicago joins a surge of similar projects near colleges and universities across the country, as demand for innovative student housing gathers strength.